Indian American writer Gita Mehta turns down Padma Shri. This year, joining the prestigious list of Padma awardees, the highest civilian honor in India, are five Indian Americans and an American. The achievers join 112 Padma awardees that the president has approved to confer the awards. Former executive chairman and CEO of Cisco Systems John Chambers has been awarded Padma Bhushan in the “Trade & Industry – Technology” category. 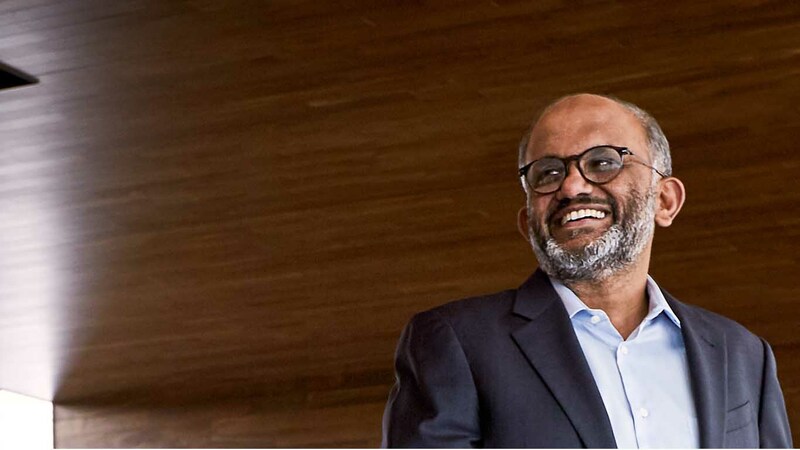 Chairman and CEO of Adobe Inc. Shantanu Narayen, computer scientist Subhash Kak, entrepreneur and educationist Ganpatbhai Patel and yoga guru Tao Porchon-Lynch are the Indian American Padma Shree honorees. A fifth honoree, writer Gita Mehta, turned down the award. Chambers, the only American on the list, is also the founder and CEO of JC2 Ventures. He is the chairman of the US-India Strategic Partnership Forum (USISPF) and a former chair of the US-India Business Council. Cisco, a conglomerate that manufactures and sells IT and telecommunications networking hardware and software, has made many investments in India. Born in Cleveland, Ohio, chambers joined a start-up Cisco as senior vice president and assumed the role of CEO in 1995. In 2015 Chuck Robins replaced Chambers as CEO. Narayen, who awarded Padma Shri in “Trade & Industry Technology,” was born in Hyderabad and began his career at Apple. In 2011, President Barack Obama appointed him to his Management Advisory Board. He is the vice chairman of USISPF. Kak, a Regents professor, is also the former Head of Computer Science Department at Oklahoma State University, Stillwater. He has made significant contributions to cryptography and quantum information. Last year, he was appointed member of Indian Prime Minister’s Science, Technology and Innovation Advisory Council. Born in Srinagar, Kak is also the author of his autobiography, The Circle of Memory. Mehta is the sister of Odisha Chief Minister Naveen Patnaik. Months before the conferment of the award, Indian Prime Minister Narendra Modi had a meeting with Mehta and her influential husband Sonny Mehta. It is believed this connection may be the reason behind Mehta’s decision. He is the founder and chairman of Cherokee International, based in Tustin, California, and patron-in-chief of Ganpat University, in Mehsana, Gujarat. The American yoga master is of French and Indian descent. At the age of 100 she actively takes regular Yoga classes in New York. She has authored two books and is widely regarded amongst the Yoga teachers of the century. Padma awards are conferred in three categories: Padma Vibhushan, Padma Bhushan and Padma Shri. The awards are given to achievers in various disciplines such as art, social work, public affairs, science and engineering, trade and industry, medicine, literature and education, sports and civil service, among others. Padma Vibhushan is awarded for exceptional and distinguished service; Padma Bhushan is conferred for distinguished service of high order; and Padma Shri is given for distinguished service in any field. The awards are announced on the occasion of Republic Day every year.